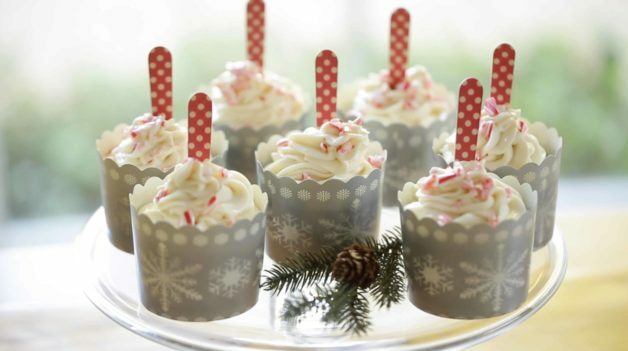 It’s funny how these Chocolate Candy Cane Cupcakes brings out the kid in all of us! While I’m probably not going to eat a whole one, I do crave a little nibble of a candy cane this time of year. 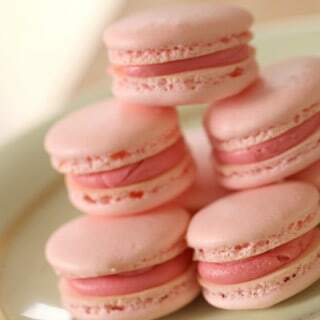 It just transports me back to when I was a kid and couldn’t eat enough of them ha! 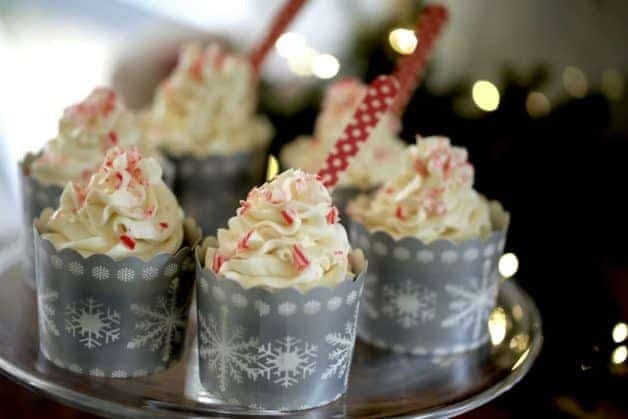 These Candy Cane Cupcakes are the perfect “grown up version” of how best to enjoy a candy cane, as an adult. But they are also quite popular with the kids as well! 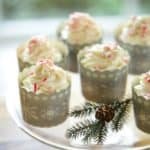 It’s a very easy recipe that is fun to bake with the little ones, with lots of easy parts for them (mixing the batter, crushing the candy canes, sprinkling them on top). 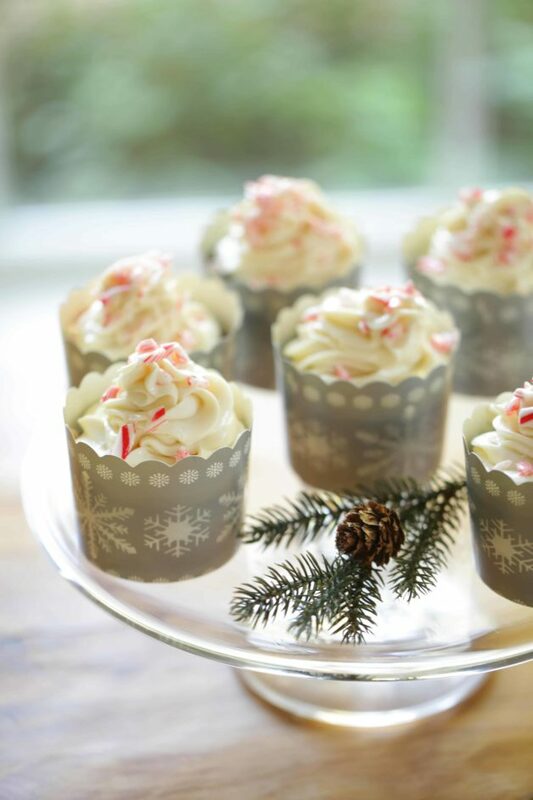 And these cupcakes become extra cute when baked in these darling snowflake baking cups by Simply Baked. 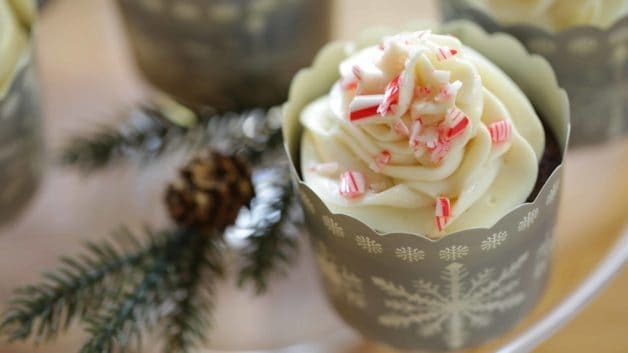 I also like to serve them with their little red wooden spoons as well, so guests don’t have to rip the beautiful cup but can eat them right in the cup! 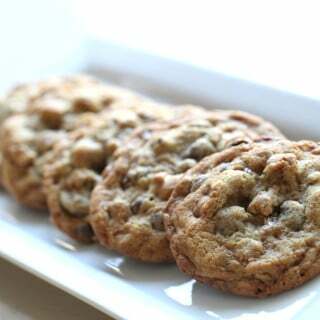 It makes for a great dessert to serve at an office party or open house where guests may not sit down while eating them. For the snowy frosting I love to use the Wilton 2D tip (This link goes to Amazon where I am compensated for products sold). It’s a great tip that creates a beautiful swirl. 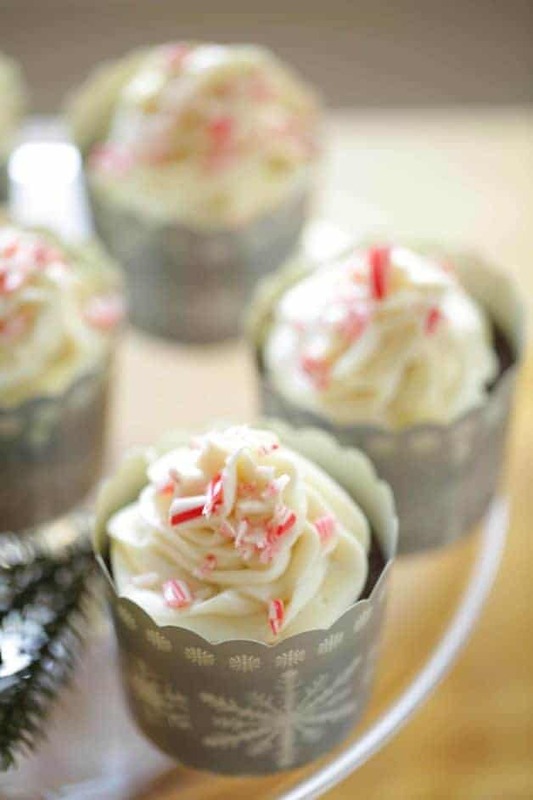 Super easy, chocolate Candy Cane Cupcakes! 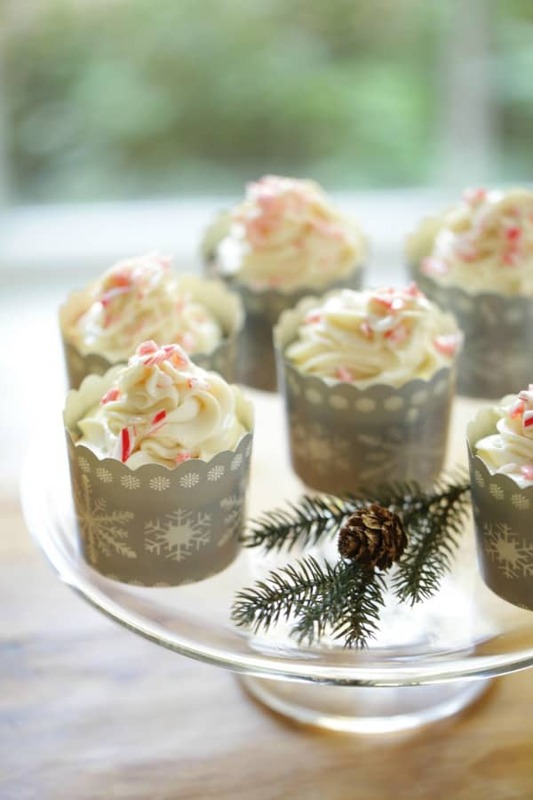 A great holiday cupcake recipe for Christmas! Place 12 Simply Baked baking cups on a baking sheet. In a large heat safe bowl, add the chocolate chips and the cocoa powder. Then pour the hot water over the top and whisk to combine. Add the sugar and oil, whisk to combine. Add the eggs and whisk until smooth. Add the peppermint extract. Set aside. Fill the cupcake wells ¾ of the way full, about 1 good ice cream scoop per cup. Bake 25-30 mins or until a toothpick comes out clean. 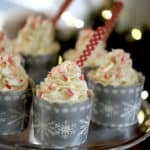 Transfer frosting to a pastry bag fitted with your favorite tip (I love the Wilton 2D tip (This link goes to Amazon where I am compensated for products sold)) top with a few crushed candy canes. 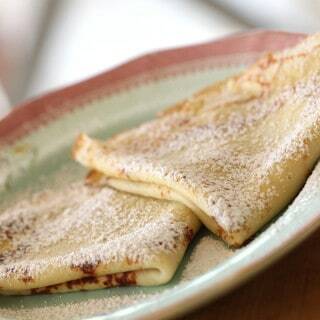 Serve with the Simply Baked spoons. 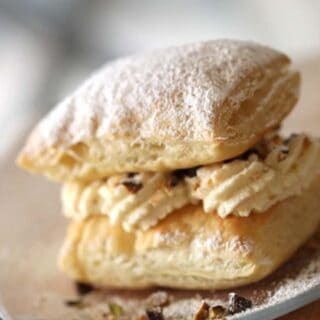 Previous Post: « Tarte Au Soleil- two ways!